As some may have heard — William & Mary pulled off a big-time upset over the #16 Maine Black Bears last week, handing the Black Bears their first CAA loss and knocking them down/out of the national rankings. The contest could not have started any worse, with the first snap of the game flying over QB Dean Rotger‘s head into the endzone, resulting in a defensive score for Maine. 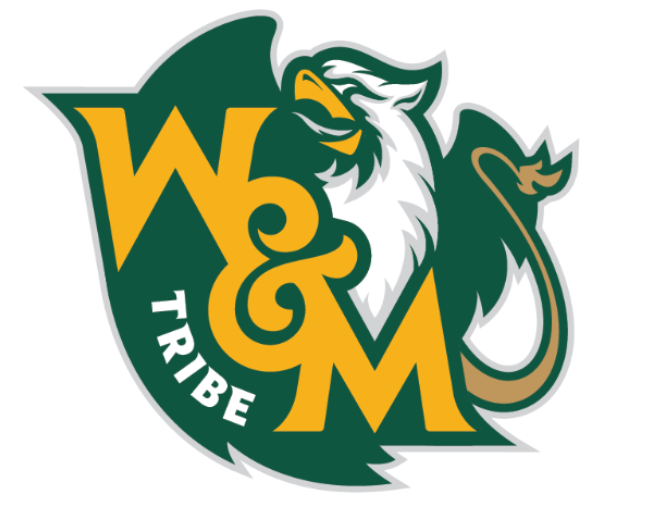 However, the Tribe would rebound, scoring more points than W&M has all season. While the offense played well, the defense won W&M the game. The Green Swarm ended up with 2 sacks, 3 interceptions, and held the Maine offense to just 3 points in the second half. W&M has now won 2 of its last 3 games, all coming against CAA opponents. With that performance in mind, W&M faces an opponent this week that started the year strong, before recently experiencing a 2-game losing streak: the Rhode Island Rams. This upstart team has seemingly completed a culture change, after having largely been the laughing stock of the league for several seasons now. But this year’s Rams are no joke. W&M will have to travel on the road and come ready to play against an up-and-coming team that is hungry to erase its recent string of defeats. Roll Tribe Roll. Coming into the year, Rhode Island was picked to finish DEAD LAST in the CAA. Yes, you read that correctly, #12 of 12 teams. 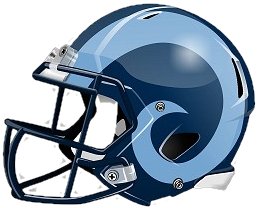 At this point in the season, it’s likely that no other FCS team has surprised the football world more than the Rhode Island Rams. The Rams started the year with a big-time upset over #15 Delaware on the road — which by the way, remains the Blue Hens’ only CAA loss. But Rhode Island wasn’t done after just one game; the team would continue to surprise, defeating Albany the following week. The Rams would then then take regional rival and FBS-foe UConn down to the wire (just barely falling in a shootout, 49-56), before defeating two Ivy league schools to start the season with a sparkling 4-1 record. To put this in perspective, Rhode Island had not won more than 2 games since 2013. It’s a big deal for Rhody. The Rams’ hot start even propelled them into the top-25 of national FCS rankings. However, Rhody has trailed off as of late, dropping its last two contests to CAA foes Maine and Stony Brook, while also falling out of the top 25. But W&M should not make this mistake of discrediting this Rams team. Rhode Island’s two losses came against strong opponents, including a ranked Maine team and the #15-ranked Stony Brook Seawolves. Suffice to say, the Rams will be hungry to get back in the win column on Saturday. Rhode Island is led by its powerful offense, which currently ranks #3 in the CAA in scoring, behind only Towson and JMU. The Rams average a resounding 33.7 points per game, and boast the #4-ranked passing attack (245.6 yards per game) in the league. But the Rams don’t just throw the ball, they also rank #6 in rushing, averaging 130.4 rushing yards per game. This is a team that can certainly beat you both ways — they run a balanced offense that keeps opposing defenses on its toes. Game-planning will be tough, and it might come down to a “pick your poison” approach on Saturday for the W&M Tribe. Defensively, the Rams are vulnerable. Rhody ranks #8 of 12 in the CAA in total defense, allowing opponents 366.1 total yards per game. Specifically, they rank 8th in rush defense (allowing 158.1 rushing yards per game) and 6th in pass defense (allowing 208 passing yards per game). Over Rhode Island’s last two contests, their defense has been decimated, giving up an eye-popping 52 points to Stony Brook last week and 38 points to Maine the week before (an average of 45 points per game against over the last two games). William & Mary, coming off its best offensive performance yet, and will need to continue that hot streak against the Rams this week. WRs Aaron Parker (#6) and Isaiah Coulter (#81): How about a two-for-one special? Parker and Coulter currently combine for the most receiving yards of any duo in the league (1081 yards). Interestingly, both of these players hail from Brandywine, Maryland, having already played with each other at Gwynn Park High School — so it shouldn’t be surprising that they work well together on the field. Junior Aaron Parker is the leading receiver on the team, with 563 yards and 6 TDs, and sophomore Coulter isn’t far behind, with 518 yards and 3 TDs. The aforementioned Parker leads the CAA in receiving TDs (6) and is 4th in receptions per game (5.43). Both receivers are tall, checking in at 6’3″, and will largely tower over opposing W&M corners this weekend. The Green Swarm will have their hands full with these two receivers, but we have faith in the Tribe’s defensive backfield after its 3 interception performance last week. QB Vito Priore (#17) & JaJuan Lawson (#10): The 6’2″ Priore did not actually start the year for the Rams, but has been the starter the past 3 games. Fellow QB JaJuan Lawson actually began the year under center for the Rams, racking up several wins in the process, before going down with a leg injury in the contest against Harvard. Filling in for Lawson, Priore has thrown for 687 yards, 6 TDs, and 4 INTs. After proving himself against Maine (250+ passing yards, 2 TDs), albeit in a losing effort, Priore seemingly self-imploded last week against Stony Brook. In that game, he finished just 7 of 19 passing for 62 yards, 0 TD, 1 INT. Assuming Lawson remains out this Saturday, Priore, the Atlanta native, will look to get back on track against the Tribe. And let’s hope he’s the starter, because before he went down with an injury, JaJuan Lawson averaged 247.8 passing yards per game to go along with 10 TDs and just 3 INTs (he also averaged 30 rushing yards per game). On the first offensive play of the game for Rhode Island, be sure to identify which player starts under center — #17 or #10. DE L.B. Mack III (#7): The 6’2″ 230 pound junior defensive end has been a nightmare for opposing offensive lines this season. Mack currently leads the Rams with 6 sacks (top-5 in the CAA), 9.5 tackles for loss, 4 QB hits, and 2 forced fumbles. He even earned a STATS FCS National Defensive Player of the Week Honorable Mention for his 10-tackle, 4.5 tackles for loss, one sack, one forced fumble performance at Brown in the first week of October. In summary, #7 is a complete wreaking ball who will look to wreak havoc on W&M’s inexperienced QB this Saturday. The Green and Gold’s offensive line will need to identify #7 on each and every play, especially in obvious pass rush situations. Get to the Quarterback: Over the last two weeks, Rhode Island has given up 9 total sacks — a dismally bad stat. In order to take advantage of this apparent weakness, the W&M defense will need to take advantage by mixing in blitzes, and having the Tribe’s defensive lineman simply beating their men at the line of scrimmage. Right now, junior defensive tackle Bill Murray leads the Green and Gold in sacks, with 3.5 on the year; he’s also coming off a 2-sack performance against Maine last week. We expect Murray, along with sophomore defensive tackle Will Kiely (2 sacks), to add to their team-leading sack totals on Saturday. Run the Ball: As mentioned, Rhode Island ranks just #8 of 12 in rush defense, with opponents averaging 130 yards per game. Just last week, the run-heavy Stony Brook Seawolves exploded with over 300 rushing yards against Rhody. W&M, especially if Rhode Island’s electric QB JaJuan Lawson is playing, should look to control the clock in this one by establishing an effective run game. This will not only help with time of possession, but it will also help open passing lanes for whoever starts at QB for the Tribe this weekend. We expect big games out of running backs Nate Evans / Owen Wright (with Funderburke questionable) against a beatable Rhode Island rush defense this Saturday. Ride Last Week’s Momentum: After a dreary start to the season, the Tribe exploded last week against a ranked Maine team at home — achieving victory in front of a homecoming crowd. W&M should be riding high, while Rhode Island is on the opposite end of the spectrum having lost their last two games. This is a big positive going into the game, and one that Jimmye and the boys certainly need to take advantage of. We want to see the Green and Gold fired up, come out firing, and strike first. Let’s force turnovers, and continue to ride the wave that began last week. Watch: Online Streaming — Stream the Game here! In what could be a little bit of a shootout, W&M will need to put up points on the road to defeat this upstart Rhode Island team. Whoever starts under center for the Tribe, whether it’s Mitchell or Hefter, will need to be able to move the ball through the air. We’re hoping that the Tribe’s run game helps in this department, as establishing an efficient rushing attack should be a key to victory for the Green and Gold this weekend. As Funderburke, Dedmon, and Rotger are not listed in this week’s game notes, What is the status of their injuries? Is Shon Mitchell able to go? Unsure which QB (Mitchell or Hefter) will play at this point, but we should be in capable hands either way. Both have proven themselves so far this season.